You're busy. You've got things to do and places to go. You need a pair of sandals that can keep up. Bokos are ultra-durable, easy to clean, and ready to handle anything you throw their way. From afternoons at the beach to ghost-stories around the campfire, Bokos will be your new favorite sandals. For domestic orders (United States), your order will be shipped within 48 hours of receiving payment. Shipping can depend on your location, but shipping will generally take around 5-7 business days. You will receive an email confirmation once your order has shipped. The confirmation email will include a tracking number to track the order online. If you are unsatisfied for any reason, send them back to the address below. Include a note letting us know what happened, and we'll work to improve. 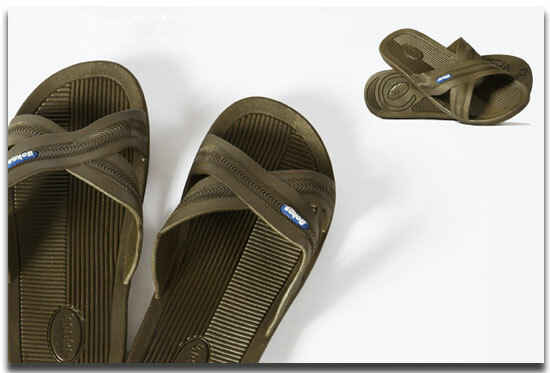 Sandals offer more flexibility than shoes and boots when it comes to getting an appropriate fit. Choosing the right size of Bokos sandals is easy. For men: If you typically wear a half-size, order the next whole size up. For women: If you typically wear a half-size, order the next whole size down. The item that you have just added to your cart is on back-order. The item will ship in 30 days. Any other items in your cart that are in-stock will be shipped immediately. Would you like to continue with purchasing this item?
" I love wearing them around the house, short trips around town, and after the gym. They are simple and feel great on my feet. I would compare them to Crocs as far as comfort but don't look as ridiculous. " " I received my sandals yesterday. I've been wearing them ever since they came out of the box. 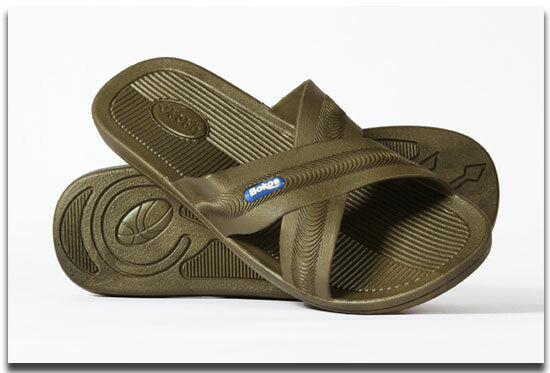 I've been looking for comfortable sandals for a long time, and I believe I have found the right ones! " Copyright © 2019 Bokos, LLC. All rights reserved.